Sprawling over an area of around 3,287,263 square kms, India represents as a charming kaleidoscope of rich cultural heritage, natural wealth and warm-hearted people. Talking of its natural wealth, this country has an amazing diversity that includes serene beaches to majestic hills, a number of swiftly flowing rivers to numerous waterfalls. As a matter of fact, India is home for some of the most beautiful and enchanting waterfalls. Here, we have listed best five waterfalls found in India which you must pay a visit to when travelling to India. Enticed to explore natural beauty of India? Don’t wait anymore, buy air tickets online and plan a trip right away! 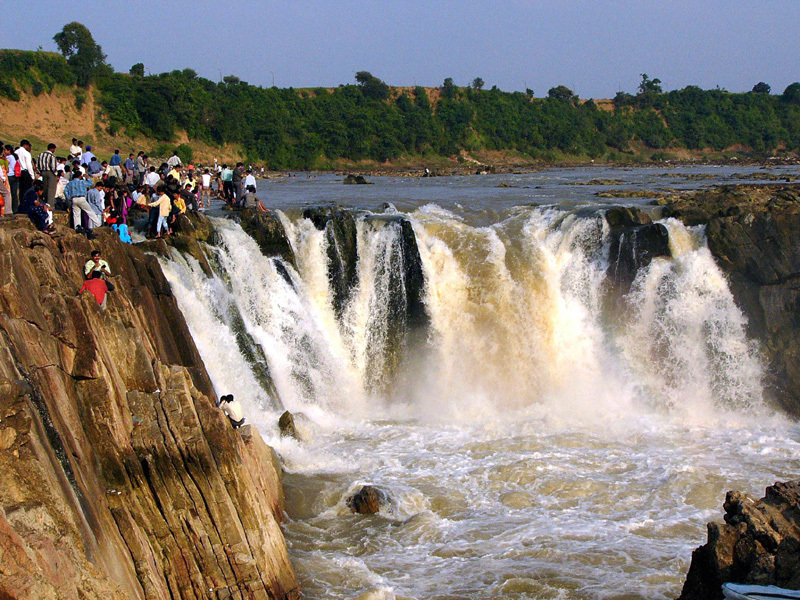 Located in the Jabalpur district of the heart of India, Madhya Pradesh, Dhuandhar Falls, are first in the list. Making its way through infamous marble rocks in Bhedaghat, these falls are made by Narmada River. The plunge that falls down the 10 m high cliff creates a bouncing mass of mist and thus, it is named as Dhuandhar, containing two words ‘Dhuan (smoke-mist)’ and Dhar (to own). These scenic waterfalls are located at a distance of just 16 km away from the Jabalpur city and an excellent tourist attraction of the state. Along with enjoying the waterfalls, you can get some exciting souvenirs such as marble sculptures, paintings and customized gifts from nearby shopping streets. 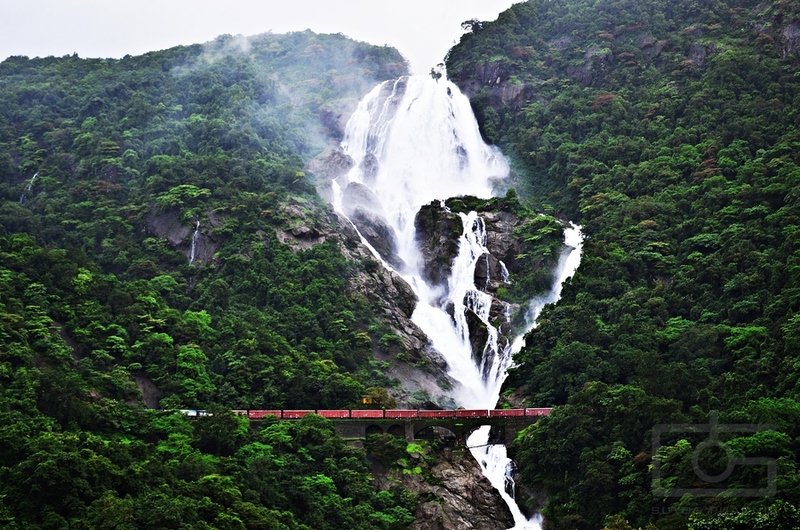 Perched in the high peaks of the Western Ghats, Dudhsagar waterfall is a beautiful excursion attraction in Goa. The waterfall are located at a distance of 90 km from the state capital, Panaji and renowned for its enchanting beauty. Falling from height of around 310 m, this waterfall is made up by Mandovi River. Dudhsagar means ‘sea of milk’ in local language (konkani) and this fall is named so because of its white milky appearance which is drawn amidst pristine valley of tropical forest. 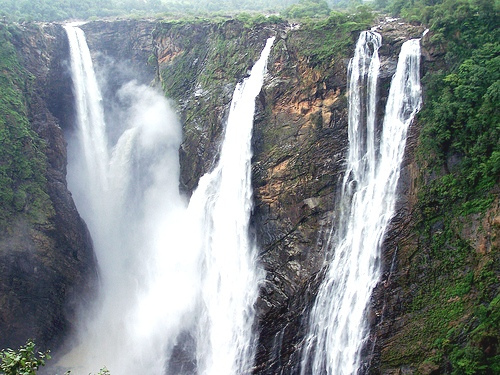 Falling from the height of over 829 feet, Jog Falls in the state of Karnataka are counted as one of the 10 best waterfalls for sheer magnitude and the second highest waterfall in India. Formed by River Sharavati, these falls discharges about 3.4 million liters of water per second, which is about 40 per cent more than the average flow at Niagara. These falls distribute its water into four distinct falls, namely, Raja, Rani, Roarer and Rocket. Being of the most beautiful natural site in the state, these falls attracts a record number of tourists every year. Situated in the small village of Bhagsu, behind the Bhagsunath Temple, Bhagsu falls is a charming waterfall in the region. 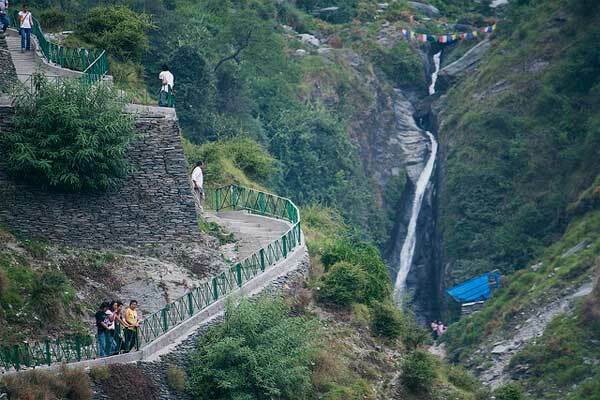 The falls are located at a distance of just 2 km from Mcleodganj and forms a stunning view overall. Beauty of these falls adds up during monsoon when it turns into a 30 ft cascade right beside the mountain forming a stunning view. Apart from its picturesque beauty, the environs of falls are known as the best location to go trekking. However, many travellers visiting these falls pay a visit to nearby temple and local village. Aesthetically located in the hilly tracks of Uttarakhand, Kempty falls attracts a number of tourists for its stunning beauty every year. 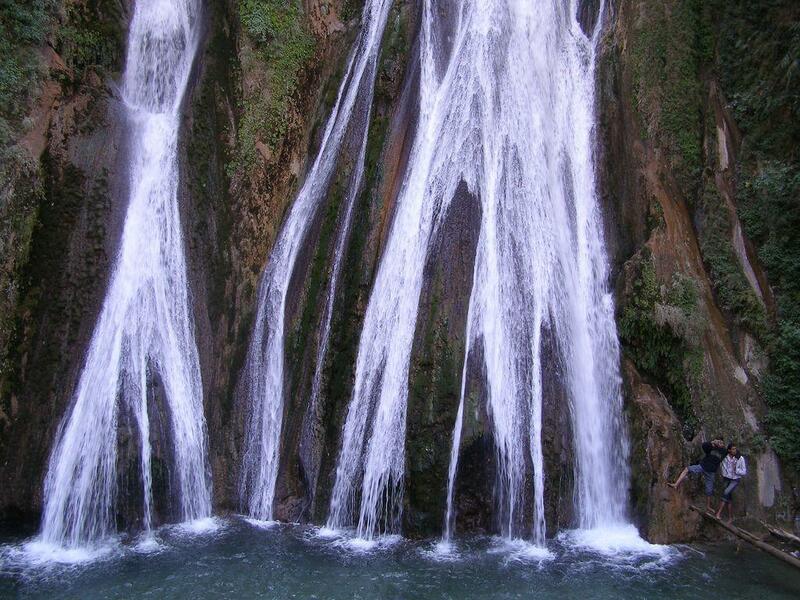 Situated at a distance of just 15 km from Mussoorie and 45 km from Dehradun, this waterfalls is a must visit destination on any Mussoorie itinerary. It is one of the largest amongst five down-rushing falls in the country. This post has been written by Archana Sharma. A graduate in tourism studies She is a graduate in Tourism Studies and loves to write on various travel and tourism topics. At present,she is working with BookEasyTrip.com (an excellent travel portal offering best discounts on India domestic flights). She also maintains her blog BookEasyTripTravelBlog.com, which is an interesting platform to share travel experiences.